This Item has been DISCONTINUED by the manufacturer. They have replaced it with the Kitewing 5.5 Full. CLICK HERE for information on the new model. 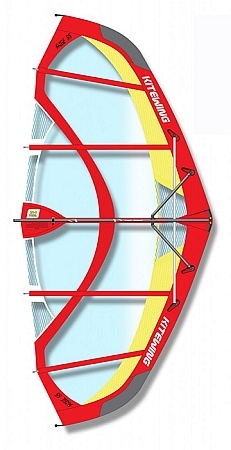 Kitewing RACE 55 offers that little extra for heavy weight riders and for the ones who live in areas with less wind. RACE 55 is designed to work well in the lower wind registers and to boost airtime to the maximum. It uses the same frame as the IV8, which makes it possible to easily upgrade your IV8 to a RACE 55.